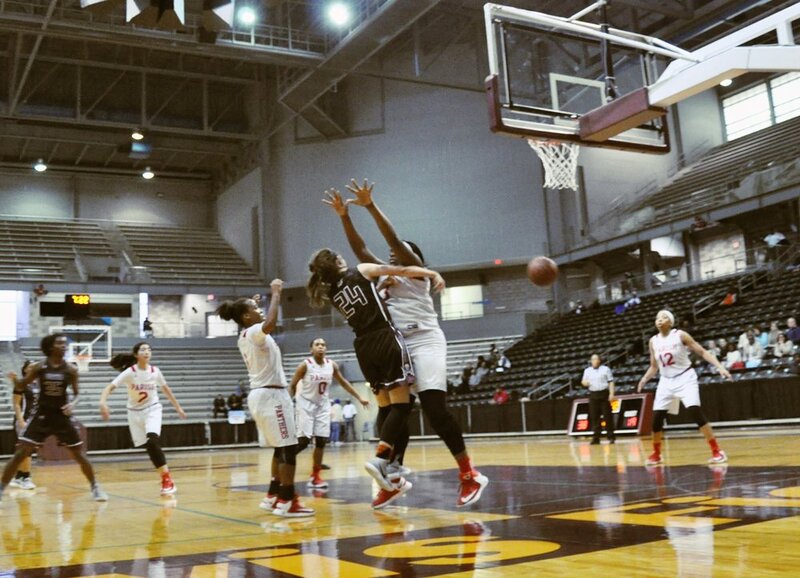 Wylie Pirates played Parish Panthers varsity girls in the final game of the Dallas ISD 78th Annual Holiday Invitational on Dec. 29. Both teams met at Davis Fieldhouse in what would become an uphill battle for the Pirates throughout the game. The Panthers ended the first quarter leading 9-7. With the Pirates stuck at 10-points for most of the second, Wylie #33 Lauren Wright made both free throws bringing the score to 24-12 with 42.8 seconds on the clock. The third quarter proved trying for Wylie as Parish continued to score while the Pirates struggled to move past 14-points. With 57 seconds remaining in the quarter, Parish was leading 38-16 until Wylie #23 Peyton Rush made a 3-point shot to end the third at 38-19. Even though Wylie fought hard to even the score, Parish continued to dominate ending the game at 52-39.